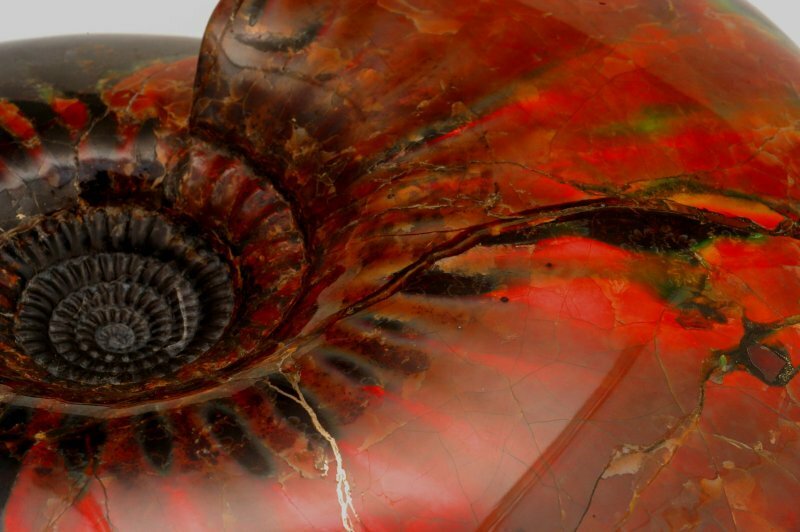 A large, spectacular ammonite is a Craspedodiscus from the Volga River region of Russia. 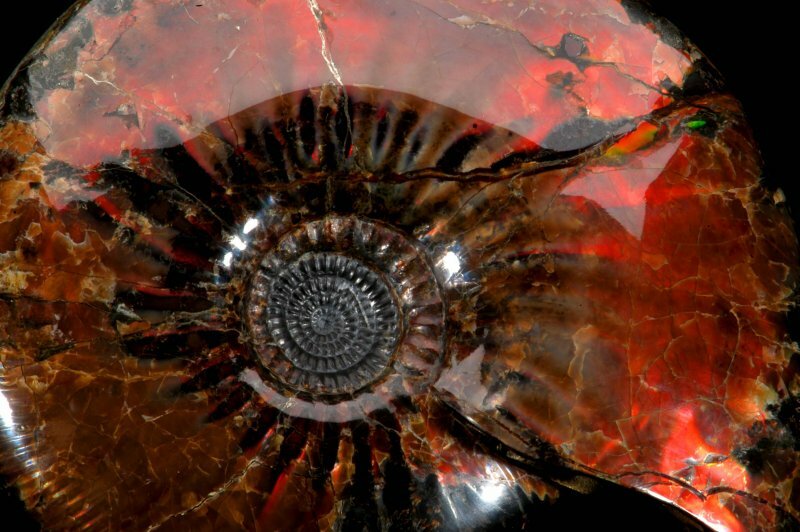 The entire surface is covered with "firery" opal iridescence of different colors, a consequence of light passing through the various layers of aragonite and conchiolin deposited by the ammonite in life. The lack of acidity in the depositional environment allowed them to be preserved as you see it here. Jewel-quality material such as this coming from Alberta, Canada is termed “Ammolite” in the trade, and typically commands a high price. 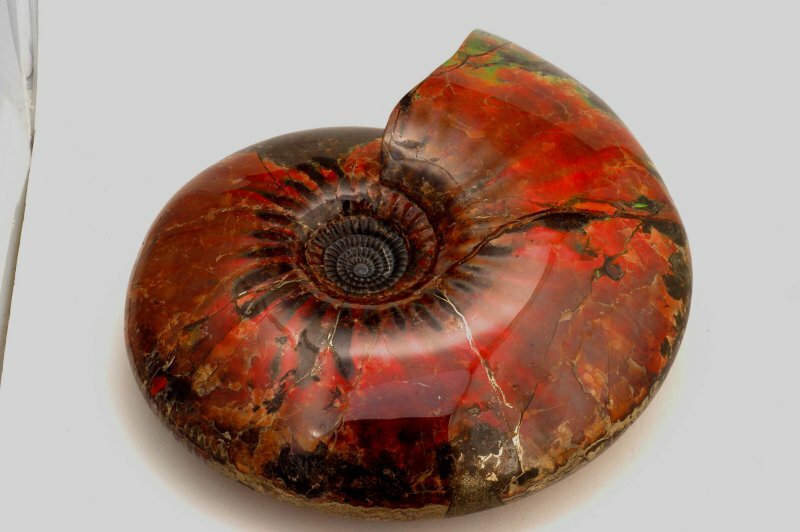 This is a stunning example of an enherent beauty often seen when ammonites were preserved in just the right environment.